♦ Gallery Space – Art Department Student Exhibition. The exhibition is open through 9/28/2016. Check the Gallery Space web site for viewing hours. ♦ Jin’s doctor’s appointment yesterday revealed that there were no changes with baby Emma. Since Michelle predicted August 12 (and she’s right about everything!) we are thinking nothing will happen until next week. If Emma is able to fool Michelle, she may come earlier. In any event, an e-mail will go out letting everyone know the details. ♦ Fridge Fumigation. 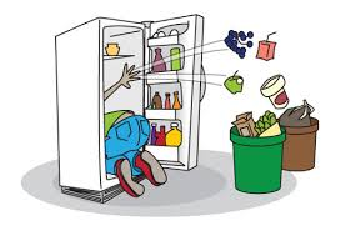 Please remove any items you may have in the fridge and freezer in the A&H Kitchen by: Tuesday, August 9, 12:00 pm. The fridge/freezer will be thoroughly cleaned and all items that aren’t clearly marked with your initials and dated will be thrown out. Please note: If not marked or dated, all plastic containers, bags, and bottles will be thrown in the garbage if not easily identified looking through the container. Anything still in the fridge past the pull date stamp will be tossed. The fridge needs to be sanitized due to spills and spoiled food left behind. Icky, stinky. 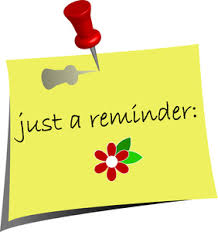 ♦ SYLLABI – Please send summer 2016 syllabi to Janis Juarez via e-mail or through the Request Center. Send ELI and all Basic and Transitional Studies syllabi to Seda Markarova. Most preferred are the CANVAS syllabi links. There are still some instructors that haven’t turned in syllabi. 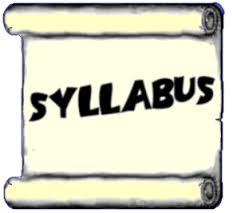 Check the A&H “syllabi” web site to see if you are one of them. ♦ Do you need Desk Copies? Use this time before fall quarter to contact your publishing rep. Don’t wait to the last minute. Click here to see revised publisher rep list. ♦ Faculty Commons Workshops. For more information about upcoming workshops and stipends visit the Faculty Commons web site for more information. ♦ NewsTalk with Ana – Wednesdays, 4:00-5:30 from June 29 – August 3, Room D 204. * visit the Reading web site to read more information about current workshops and a full list of Reading Workshops click here, or contact a Reading Lab instructor at: readinglab@bellevuecollege.edu. ♦ A&H Division Retreat – Wednesday, September 14 at Mountaineers Seattle Program Center – Magnuson Park. Please see more detailed info on the A&H Commons site.